ANTISAN is a splendid ALALUNGA motor yacht from the renowned Spertini shipyard. Built to the highest specifications to offer maximum comfort to guests, whilst meeting the stringent safety and quality standards demanded for certified commercial yachts. The generous dimensions of ANTISAN, with her 33m length and almost 8m beam, enable this sea jewel to offer internal and external volume usually only seen on much larger yachts. Designed with outdoor living at its core, ANTISAN will become your dream home from home, offering true escapism and the perfect place to relax, enjoy exquisite dining, fine wines and exhilarating fun on the beautiful Mediterranean sea. Andrea Bianchi has been a charter yacht captain for over 30 years. During the nineties, due to experience and the expansion of the luxury charter market, Andrea Bianchi decided to expand his business with the creation of a small charter company, ABY Andrea Bianchi Yachting. ABY is based in Cannes and working with a small team of carefully selected yachts and crews. ABY Andrea Bianchi Yachting is deliberately a small business structure, allowing us to provide a truly personalized service to our clients. 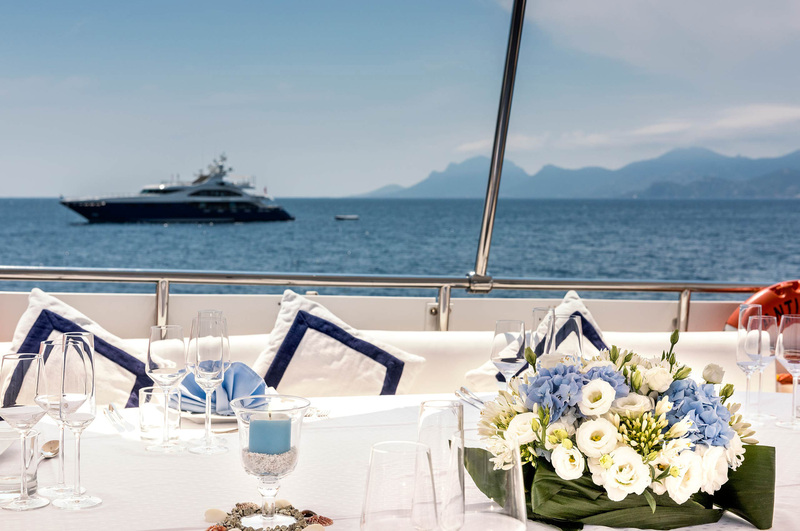 The success of our policy rests on offering exclusivity to clients, guaranteed by the top level skills of a man who has made yacht charter its passion. Behind the success of any luxury yachting holiday, other than the obvious material comforts, excellent cuisine and a wide array of water toys, the key ingredient is an excellent crew! For this reason we have made a rigorous selection of experienced and reliable multilingual captains, chefs, hostesses and deckhands to serve and entertain even the most demanding clients. © 2019 Antisan Motor Yacht. All rights reserved.